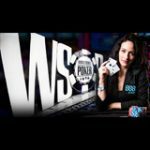 Get your seat to the World Series of Poker from Bodog Poker, there are several ways to qualify including 2011 WSOP freeroll tournaments where players can win seats to the Main Event satellites. 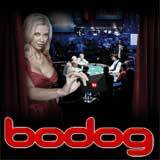 Bodog Poker accept US Players, sign-up and win your seat to the WSOP 2011. Sign-up to Bodog Poker after 1st April 2011 and make your first deposit to qualify for the WSOP freerolls and so much more. Players can win 2011 World Series of Poker Main Event prize packages valued at $12k. 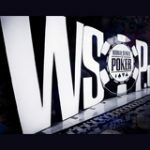 Play the weekly 2011 WSOP freeroll tournaments on Bodog Poker and win one of ten WSOP tournament tickets worth $35 + $3 to play the qualifying tournaments. 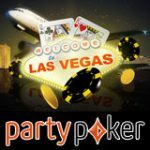 To qualify for your seat to these event sign-up and make your first deposit this April 2011, qualifying players will receive their tournament tickets five days prior to the tournament. 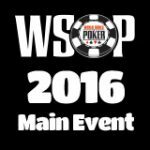 For more information about the WSOP Main Event Freeroll click here. 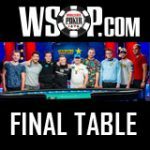 Bodog Poker players who play any of the WSOP Main Event Freeroll tournaments and were unsuccessful, qualify for the Second Chance Tournament where players can win a seat to the final WSOP satellite. Qualifying players will receive their tournament tickets five days prior to the tournament. For more information about the Second Chance Tournament click here. Win the same Bodog branding packages as the WSOP prize package winners receive when they play the World Series of Poker Main Event in the Swag challenge. 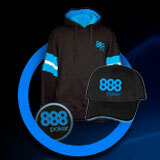 To qualify for the Bodog Poker merchandise, players must play more than $100 in WSOP qualifiers and they must have registered for a new Bodog Poker account after the 1st April 2011. Qualifying players will receive their tournament tickets five days prior to the tournament. For more information about the Swag Challenge click here. Experience Las Vegas the Bodog way, players who spend more $500 without winning their seat to the main event can still win a trip to Vegas during the WSOP to watch the Main Event in style. Qualifying players will get free entry to the Bodog Vegas Experience tournament where one lucky player will win a Vegas Experience package which includes: A trip to Vegas, Bodog swag bag and entry to the Bodog Poker WSOP main event party where you will meet the Bodog Poker girls. Qualifying players will receive their tournament tickets five days prior to the tournament. For more information about the Bodog Vegas Experience tournament click here. Win your seat to the World Series of Poker Main Event in the Bodog Poker WSOP satellite tournaments, buy-ins start from as little as $1.10. See the full qualifying schedule below. Prize: 1 Main Event Quarter Final Seat for every $11 in Prize Pool. Prize: 1 Main Event Quarter Final (Turbo) Seat for every $5,50 in Prize Pool. 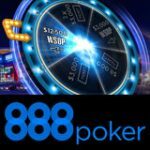 Prizes: 1 Main Event Semi-Final Seat for every $38 in Prize Pool. Prizes: 1 Main Event Semi-Final Seat for every $75 in Prize Pool. Prizes: 1 Main Event satellite Seat for every $500 in Prize Pool.